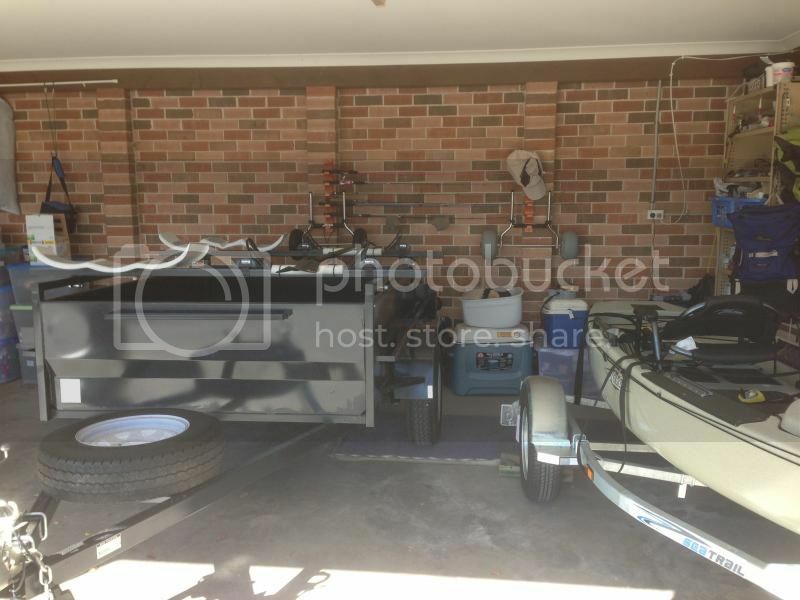 We needed a trailer for our property (garden waste etc.) so I had a box trailer made, with a means to mount the kayaks. Being a high side trailer, the PA12 was very difficult to get off and on without it scrubbing on the frame of the trailer, when solo fishing. With the family in tow, not an issue as my wife would help load the Hobies. 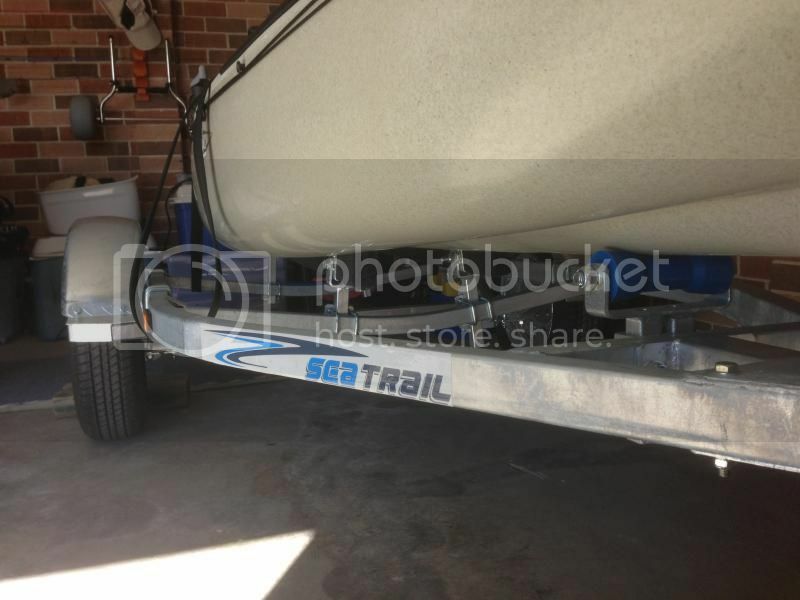 It was getting some damage to the hull (scrapes), so I decided to buy a small water craft trailer. As standard, it has 1.5m marine carpet covered skids, a front roller as well as a winch with roller. 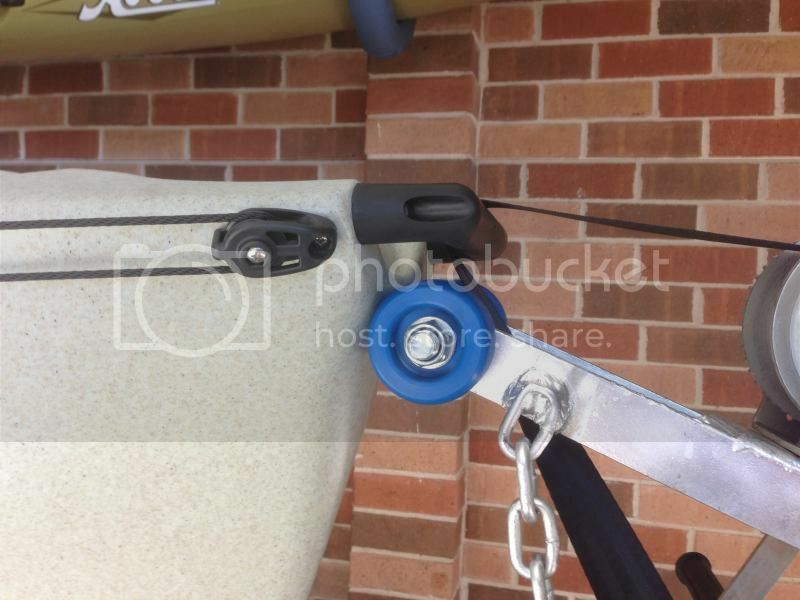 I know that the Hobie cradles need to be about 67 inches apart, which they are on the box trailer, but are the skids and roller sufficient to support the PA12 hull?? I could get another cross bar welded up and get another set of cradles, if I REALLY need to. Here is a quick picture of the trailer and front roller. The winch is not exerting any force/pressure on the front handle. Just strapped to help prevent forward and aft movement. The last picture shows a difference in height! 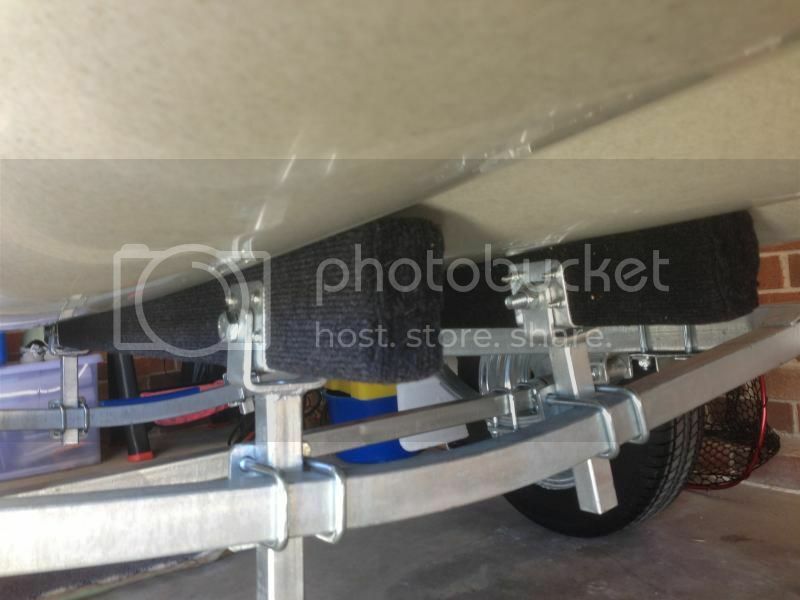 With the Hobie cart fitted, the new trailer is a perfect height to rest the nose of the PA12 on the skids, slide forward, then remove the cart. Perfect. Congrats on your new PA 12! Nice setup, do you like the carpeted bunks better than 2" pvc pipe? Life, Liberty and the pursuit of fish! Thank you for the replies. I love the PA12, great design and stable. But a wee bit heavy as such. I also noticed that the Hobie cradles were "rubbing" on the hull leaving scratches etc. I think from trapped sand in the cradles?? 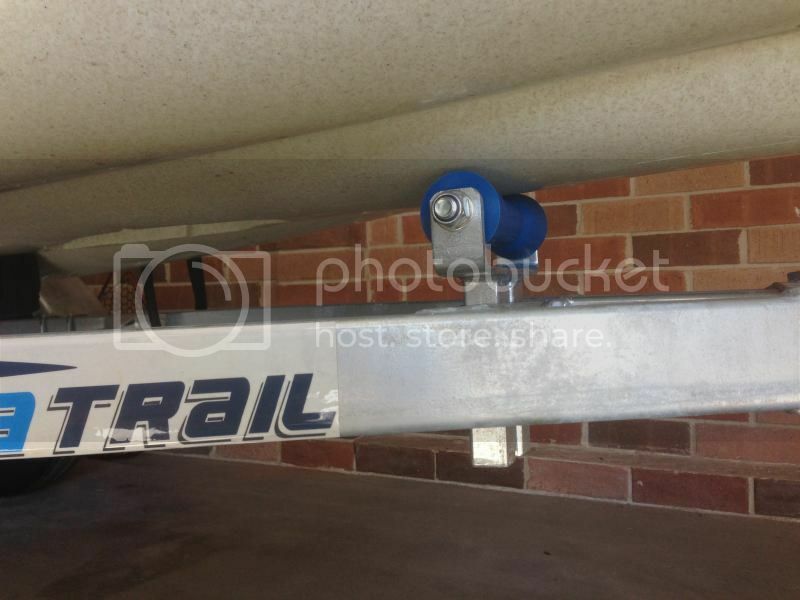 SeaTrail is a Australian based company which Hobie Australia use for their trailers. 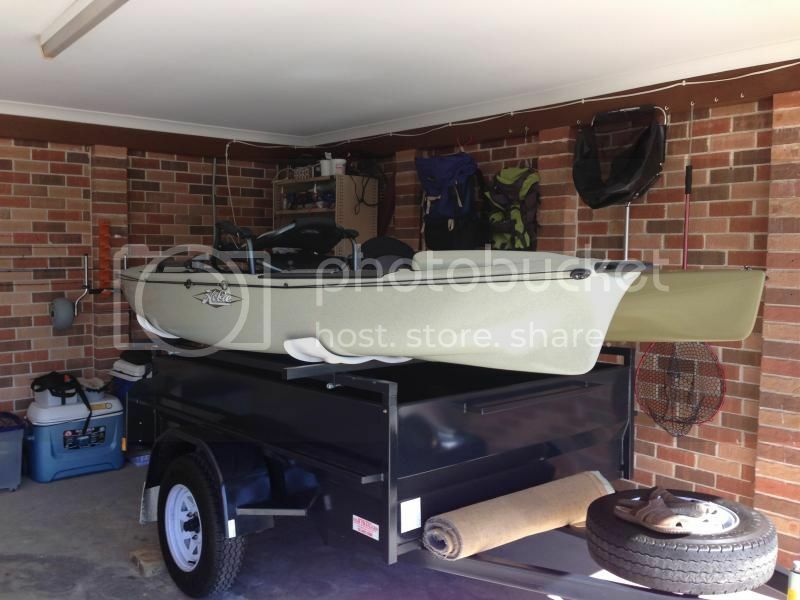 The Hobie trailer is larger, wider and has cross bars in place to fit the cradles, but too long to fit in my garage, so I opted for a PWC trailer instead. Anyone from Hobie willing to comment on the skids supporting and or damaging the hull please?? I already have a set of cradles, for the big trailer. Not sure how I can remove/transfer the cradles each time I want to use either trailer, as the bolt is under the foam rubber pads. I would rather spend the $$$$ on a sail instead of another set of cradles.